Back in 1994, what compelled us to set up Bioregional was the huge negative impact that our global human consumption of resources and the pollution we produce has on the natural world. Our vision was that there had to be ways of living good lives without destroying the planet. In 2019 it is so easy to feel overwhelmed with the scale of what still needs to be done to achieve this vision. So here are 25 reflections on why we can afford to be cheerful - and how we can get on with delivering a sustainable world right here and now. BedZED continues to inspire others. 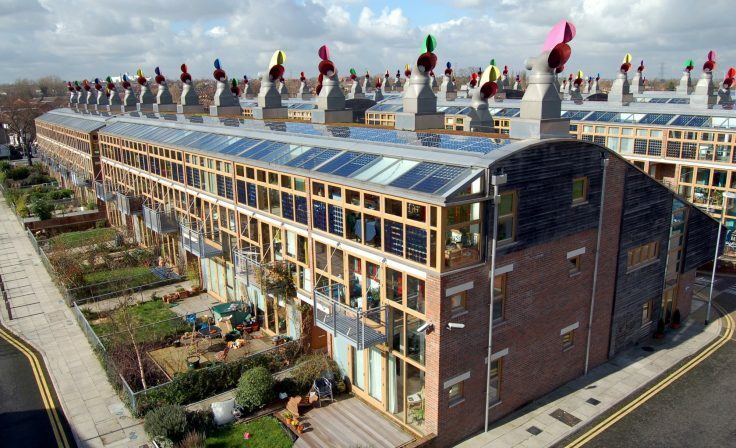 BedZED eco-village, which we initiated in 1997 and worked with Peabody, Bill Dunster and others to develop, was completed in 2003 and has stood the test of time. I love being part of the community here. One Brighton demonstrated the business case. We developed this a pioneering complex of 172 apartments with Quintain and Crest Nicholson. Selling twice as fast and built within the normal range of build costs, it showed that building sustainable homes can be better for business. One Planet Living is spreading its reach. Using our learning from BedZED, we created the One Planet Living framework and developed it together with support from WWF. Some 595,000 people around the world are now living in, working at or visiting communities and organisations with a deep commitment to One Planet Living. These include communities like Zibi in Ottawa and WGV at White Gum Valley in Western Australia. 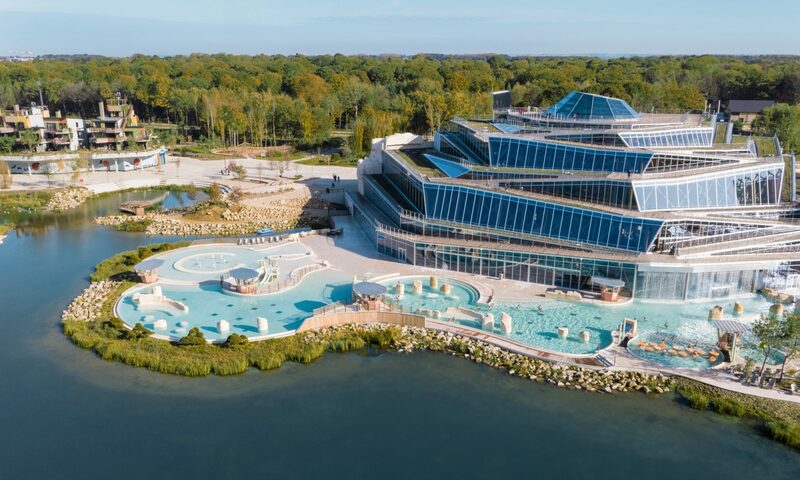 … these include the game-changing ecotourism resort Villages Nature Paris (pictured above), which is so amazing I decided to go there with my family for our annual holiday last year. 100% of its heat comes from natural geothermal energy. … and Singita in Africa which provides a safe haven for endangered iconic wildlife and has reduced plastic bottle waste by 97% across its Safari lodges. It has fully embraced the spirit of One Planet Living. Elmsbrook, the One Planet community in North West Bicester led by A2Dominion, is the first phase of a 6,000-home masterplan showing that we can build zero-carbon homes at scale. One Planet Living has gone digital. Last year we created a digital platform where anyone can create their own plan for achieving One Planet Living: oneplanet.com. We know how to dramatically reduce the energy performance gap for new homes, and are working with partners like A2Dominion, Hill and Crest Nicholson to roll out our BEPIT methodology. ...Local paper for London, a closed loop office paper system, showed that it is easy to get a quality paper product and reduce the ecological footprint of our office paper use by 93%. ...and finally, Carshalton Lavender Fields has grown to revive the local lavender industry with four companies and over 20 acres producing lavender products. It’s a joy to see and is in the top ten places to visit in London on the Chinese version of Trip advisor. Our retail partners are achieving amazing things. For example, B&Q slashed its absolute carbon footprint by 41% over the ten years of our partnership with it, and newer partner Kingfisher has pledged to make 50% of its products meet its sustainable home product guidelines by 2020. It is possible to influence and inspire good global policy. In 2010 we got involved in the UN processes, becoming part of the global team which helped create the Sustainable Development Goals in 2015. Our efforts to get the critical issue of sustainable consumption and production properly recognised in the SDGs were successful – it is now a goal in its own right, Goal 12, and is addressed in 20% of the targets. People are passionate about implementing the SDGs We created Transform Together in 2016 with the leadership of the Beyond2015 initiative. It is a multi-stakeholder partnership to scale up solutions for sustainable consumption and production – starting with smartphones and ICT and already building momentum. Behaviour is changing – the explosion of concern about plastics after Blue Planet II is just one example that shows that behaviour change is possible – and already happening. We need to build on this. Despite poor leadership and downright obstruction from many national governments, cities and regions are leading the way on tackling climate change. This includes Oxfordshire, which is developing its own One Planet Action Plan. If we dream big, big things can happen. I will never forget how special it was to co-create the sustainability strategy for London’s bid for the 2012 Olympic Games with London 2012, and then work alongside the team to translate the vision into concrete achievements. The ripple effects of better practice in business have been huge. We are part of some amazing networks where we’ve won some awards along the way… including the Skoll and Schwab social entrepreneur Awards and the Ashden Awards. It is great to be part of these alumni networks as keeps us motivated and inspired. … your sustainability contacts will have been promoted to positions of power. If you check your LinkedIn contacts you can see how many people you have met down the years who are gradually getting into positions of influence. Work those contacts people! ...Our brilliant team at Bioregional, past and present. 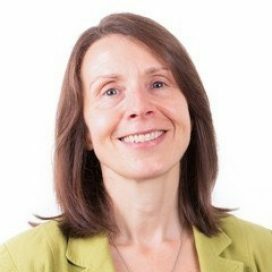 The ingenuity, creativity and determination of my colleagues at Bioregional – from staff to trustees – has always motivated and continues to inspire me. Looking back at this list makes me realise what a huge bank of practical projects, friends and networks, analysis, evidence and policies for sustainable zero-carbon homes, products and lifestyles we have amassed over the years. I love the certainty that this brings to me that yes, it is possible to achieve what we call One Planet Living. So let’s do it. We have just launched our new website, so please do have a look around and be inspired by the One Planet Living initiatives around the world.